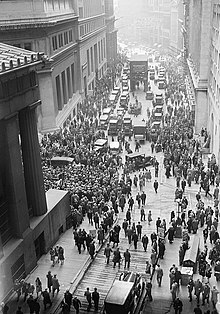 On October 24, 1929, the New York Stock Exchange suffered the catastrophic day of losses known as Black Thursday, the day that for all intents and purposes started the Great Depression. Also known as The Great Crash or The Crash of ’29, this was the most significant stock market crash and economic event in the history of the United States, so enormous in scope that it plunged the entire industrialized world into a decade long depression. The 1920’s in the United States was a time of excitement and prosperity. 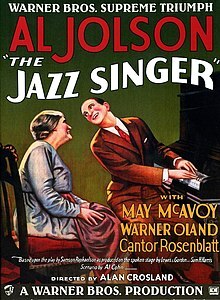 Women could vote, Prohibition went into effect, movies became common, voice radio entertained people in their own homes and millions of people invested in a stock market that seemed like the only direction was up. This investment was largely made on “spec,” short for speculation, where the investor did not really put up money, but on paper bought the stock and sold it at a profit before his payment was due, allowing people to make money even though they did not personally have the money to invest. This “house of cards” so to speak was bound to fail. The US Federal Reserve Commission warned of the dangerous nature of excessive speculation months before the crash, but like Cassandra, the Fed was doomed to be ignored. Throughout the summer of 1929 there were ominous hints of trouble, with auto and steel production declining, construction slowing, and personal and corporate debt piling up because of easy credit with low interest rates. The entire country was getting dangerously under capitalized. The Dow Jones Industrial Average stock indicator peaked on September 3, 1929 (at 381.17), causing some prognosticators to crow about a rosy future and others to warn of an impending crash. The London Stock Market crashed on September 20, 1929, and a sell off began in the US, driving stock prices down. The mixed messages from “experts” resulted in some US gains, and the market fluctuated wildly. By October 24, 1929, at the opening bell of the stock session, the NYSE lost 11% of its value immediately upon the open. The unprecedented heavy trading overwhelmed stock tickers, and people received reports of market conditions hours late. The massive sell off triggered panic selling, which was partially stemmed by financiers pouring money into the market, buying up major stocks to prop up the stock market. This resulted in something of a rally that partially continued on Friday, October 25, 1929, but on the following Monday, October 28, 1929 now known as Black Monday, things had regressed to more panic selling resulting in a loss of 13%. The following day, not surprisingly known as Black Tuesday, the market lost another 12%. The record volume on Black Tuesday was not matched for 40 years. The market fluctuated for the next few months, but the damage was done. So many people and companies were ruined that the Great Depression would not end until World War II firmly planted the United States as the world’s only industrial giant not ravaged by the war. Historians and economist debate the reasons for the crash and the results rather enthusiastically to this day, and there is much disagreement on the hows and whys of this disaster. Apparently not a heck of a lot was learned, because in 2008 we suffered another giant stock market economic catastrophe that we are still suffering for.